Evidence examination, whether it is soil, body fluids, glass, hair, or even fibers, often requires a comparison of unknown samples with a known portion of the material being analyzed. Most crime scene investigators can readily recognize and collect relevant crime scene evidence; however, the laboratory has seen an increase in the number of cases lacking appropriate reference standards. A standard is an item obtained from a known source, such as pulled head hair collected from Suspect A. Standards are used for comparison purposes to establish a link between the crime scene evidence and the known individuals or objects involved. For example, the pulled hair from Suspect A can be compared to the hair collected from a victim's clothing to determine if Suspect A can be included or excluded as the donor of the hair found on the victim. Most disciplines in the lab require standards in routine analysis. Use the appropriate section(s) from this guide when collecting and submitting evidence to the laboratory for analysis. 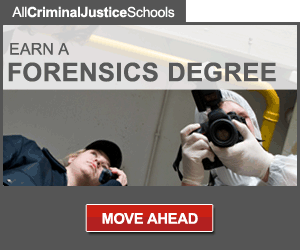 Quality forensic science depends on good, thorough police work. For every case submitted requiring DNA exams, a blood or buccal (cheek cell) standard MUST be submitted from each individual involved. This includes both the victim(s) and suspect(s). If blood is submitted, use a purple capped blood tube. If a buccal swab is submitted, be sure to properly air dry the swab and place in a paper material container. Label all items (tubes, envelopes, etc.) with the source (contributor) of the standard. Standards must also be packaged separately from any unknown evidence samples. Elimination standards may be necessary in certain instances, such as when a sexual assault occurs on bedding belonging to someone other than the victim and the suspect. The owner of the bedding must contribute a standard for elimination purposes. If a sample just cannot be obtained, such as when a body has been cremated, a secondary standard (a toothbrush or comb as sources of DNA, for example) may be acceptable. Contact the lab for further instruction in such cases. DNA exams will not be attempted until the lab receives all appropriate standards. Standards for print comparison are the customary 10-print card taken upon arrest of a suspect. 10-print cards may also be used for elimination purposes, as well. 10-print cards are required for a complete examination for all latent print submissions. Send a photocopy or fax of the original card only as a last resort. When obtaining a set of inked impressions, place the prints in the appropriate spaces provided on the 10-print card, completing both the rolled print and simultaneous print portions. Using the appropriate amount of ink is crucial to ensure the impressions are not too dark or light. Inked palm prints are rarely submitted; surprisingly, 50% of the lab's casework involves latent palm prints. Collect these standards if the case may involve palm prints. The lab secures known test standards from a particular item of evidence in these types of cases. The criminalist obtains test bullets, cartridge cases, or shotshells from a suspect firearm during test firings, toolmarks from the tool in question, and test impressions from suspect articles, such as shoes or tires. Once the criminalist obtains and compares standards to an unknown ammunition component, toolmark, or impression from a crime scene, they become part of the evidence which made them. They are returned upon case completion to the submitting agency, which is responsible for the preservation and storage of the test standards for future reference. Standards are of utmost importance in many areas of trace evidence. When a crime scene is processed, the investigating officer should give thought to the types of standards the Trace section may potentially need for examinations. Hair, fiber, paint, soil, glass, or other standards may be necessary for later comparisons depending upon the type of crime. Problems may arise if standards are not collected in a timely fashion: burial of a homicide victim may prevent the collection of hair standards; paint standards may not be available because a vehicle was sold; fiber standards may not be available because the carpet was replaced; or hair characteristics may change due to hair cuts and chemical treatments which make it difficult for positive associations. In essence, the investigator should think ahead and collect standards as soon as possible after a crime. The Trace section has compiled a list of the more common types of standards required, including proper collection techniques. Be sure to label all containers with the contents and the exact source/location from which the standard was taken. Head Hair Standard: Pull or pluck approximately 50 total hairs. These hairs should represent the front, top, back, left side, and right side of the scalp. Do not cut hair for standards. Place the hairs in a properly labeled envelope or other suitable container. Pubic Hair Standard: Pull or pluck approximately 25 hairs representative of the pubic region. Do not cut the hairs. Place in a labeled envelope or other suitable container. Fiber Standard: Collect carpet fiber standards by submitting a small portion of the carpet or by pulling/cutting fibers from the carpet. For automobiles, collect fiber standards from floor carpeting, floor mats, seats, door panels, and trunk carpeting. For clothing fibers, submit the entire garment, if possible. Otherwise, cut a portion of it. Place fiber standards in labeled plastic bags, envelopes, or metal canisters. Paint Standard: Paint can come from a variety of sources, typically vehicles or residential walls and trim. Use a razor blade to collect the paint standard, making sure all the layers, including the bottom most layer, of paint are removed from the painted surface. In cases of damaged vehicles, remove paint from the same body part/panel as the damaged area. Collect standards from all damaged areas. Place paint standards in paper folds, plastic bags, envelopes, or metal canisters. Glass Standard: Place a sample of the broken glass in a puncture resistant container. Be sure to label all containers containing sharp items with the word "sharps" clearly visible on the container. Soil Standard: Collect the top 1/4" to 1/2" layer of soil for comparison. Place the soil into a plastic bag or glass jar. The results of handwriting/handprinting comparisons depend to a considerable degree upon the success of the investigator in obtaining adequate standards. All individuals involved in a case must submit standards (collected or dictated) to identify or eliminate the true author of a questioned document. Collected standards are those executed during the normal course of daily activities: cancelled checks, employment or credit applications, military records, police statements, notebooks, diaries, or even letters. Dictated standards are those produced specifically for an investigation and are obtained upon direct request from the investigator. These must duplicate the questioned writing in style (printed or cursive) as well as content. The investigator should study the questioned writing before obtaining a dictated writing to ensure all questioned material is adequately dictated. Additionally, reviewing the questioned writing beforehand allows the investigator to provide appropriate instruction on dictation, such as "print the following" or "capitalize the following". Even though both types of standards have advantages and disadvantages, the lab prefers dictated ones. However, if a suspect attempts to distort or disguise the dictated standards, then collected standards should be submitted in addition to the dictated ones. Speeding up dictation and removing each dictated page before dictating a new page helps thwart attempts at deceit. When giving dictation, do not assist with spelling, grammar, punctuation, or word placement. Moreover, do not allow the suspect or victim to view the questioned document (original or photocopy) before or during dictation. The lab must receive the proper quantity and quality of known exemplars to offer the examiner a better opportunity to reach a conclusion. Preprinted handwriting exemplar booklets are available at the lab. These sections identify controlled substances through comparison with known reference standards available in the lab. Therefore, submitted standards are not needed. One exception is anhydrous ammonia examinations performed by the Drug Chemistry section. Samples of anhydrous ammonia are not accepted in the laboratory. Samples may, however, be mixed with distilled water in a 1:1 ratio and packaged into a glass vial, which is placed inside a plastic bottle. A sample from the same source of water that was used to dilute the anhydrous ammonia must also be submitted for use as a waterblank. The water-blank sample should be packaged in the same manner as the diluted ammonia sample. Ammonia samples submitted without a water-blank sample will not be analyzed. Every person who enters a crime scene has the potential of contaminating any existing evidence by unknowingly contributing skin cells, hair, cigarette butts, saliva, sweat, skin oils, etc. Be prepared to wear protective garments (gloves, lab coat, etc.) as well as limit the number of personnel at a scene to the absolute minimum. Reference elimination standards from anyone who enters a crime scene, including every officer, may be necessary for comparison. 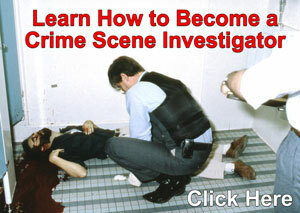 Remember, the crime scene is the investigating officer's responsibility to protect and preserve. If you should have any questions, please contact the lab.